Or maybe you just really like the camouflage look. 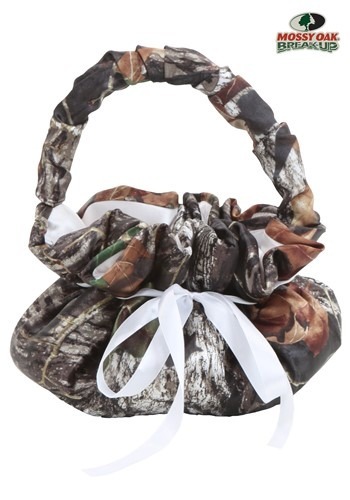 Well, whatever your reasons for going with a Mossy Oak themed wedding, this Mossy Oak Flower Girl Basket is the perfect touch for your little flower girl’s walk down the aisle. Whether she’s strewing flower petals or shotgun shells, she’ll be the cutest little flower girl ever to grace a Mossy Oak-themed wedding. And there will be no camouflaging that.